The out-going CBF125 was the best-selling motorcycle in the UK, so Honda had to make sure they got the new CB125F (they’ve moved the ‘F’ around) right. And, since it’s our 125cc award winner, you can correctly guess they did. This has been one of the busiest years for the MCN road test team in recent memory, and it’s been a long time since we’ve seen the thick and fast introduction of so many exciting new bikes. 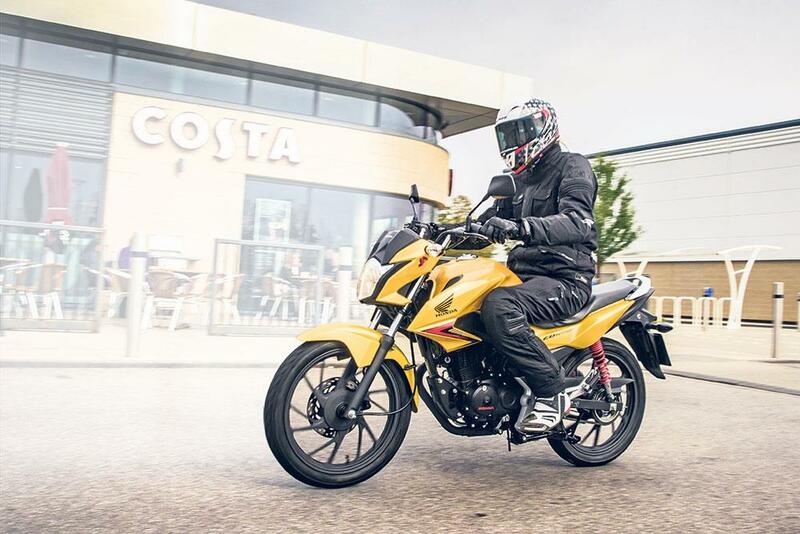 2015 has seen the arrival of great new adventure bikes, cruisers, retros, 125s, A2 licence-friendly machines and scooters, while also being hailed as the return of the superbike. 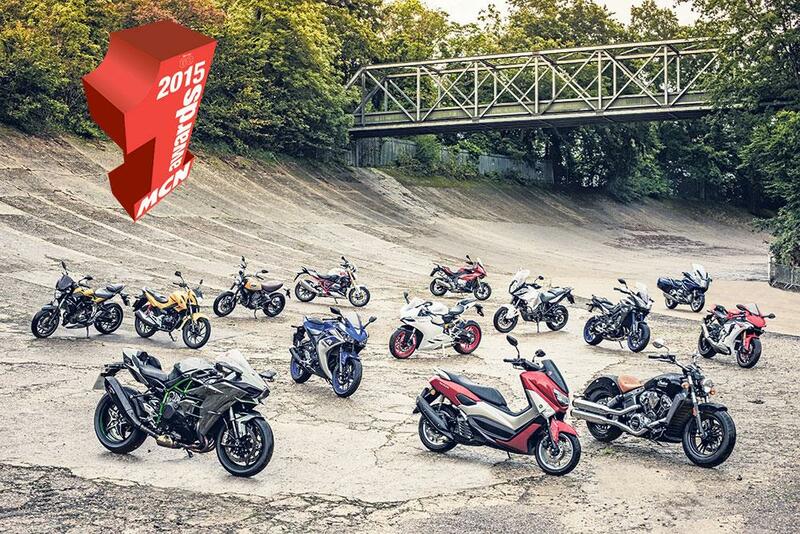 The MCN awards are our pick of the best metal to be released this year and covers multiple categories. Over the next week, we will reveal all the winners, so keep checking back. 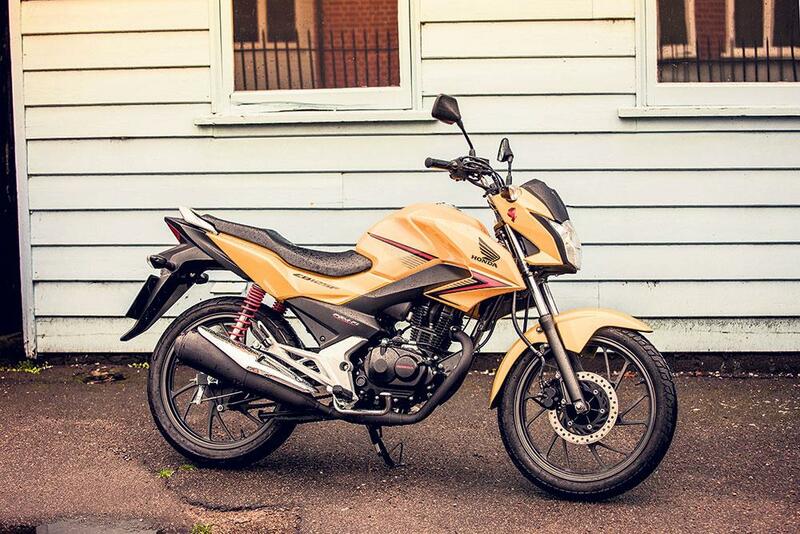 At £2499, the CB 125F isn’t expensive, but that doesn’t mean it lacks quality. As you would expect from Honda, it’s well-built, even if it does look a little weedy up close. As first bikes go, you can’t get better. It’s small and light, which makes it perfect for new riders looking for something manageable. But it also makes the Honda just the thing for seasoned commuters looking for something flickable that can fit through the tightest gaps during rush hour. It’s almost as narrow as a bicycle, which makes it almost unstoppable in the city. The CB125F takes little effort to ride. You feel familiar, comfortable and confident straight away and that leaves you the brain space to deal with town traffic and kamikaze pedestrians and not worry about the controls. The 18in front wheel, slightly beefed-up 120mm forks and preload-adjustable rear shocks are budget, but they’re more than up to the job of keeping the 128kg CB125F settled. A revised cylinder head, new exhaust and Honda’s latest fuel injection system have increased the CB125F’s low to mid-range torque. It’s not exciting, but it thrums along with ease. There’s enough oomph from the basic air-cooled motor to keep ahead of cross-town traffic and out on the open road the motor hums along with a confidence that convinces you it’ll take being thrashed every single day of its life, and still come back for more.